"The creativity, innovation and style you brought to all of our flower arrangements, whether it be the boys buttonholes or the magnificent floral arch and hanging chandelier - your work was simply breathtaking! So many of our guests commented on your extraordinary talent and were delighted to be able to take some of the flowers home. You went above and beyond x"
"Thank you for creating the wedding of my dreams - everything you did exceeded our expectations. From the beginning, floral design was my top priority...I am so glad I trusted your style and expertise. We can't thank you and recommend your work highly enough." "After our first meeting with Emma I was very confident that she understood exactly what my vision was for the florals for our wedding day. No request was ever too much trouble for Emma. We could not have been happier with the decision to hire Emma, her work is so beautiful and she gave our day the exact feeling we were looking for, elegant and romantic with a touch of wilderness." "Our wedding was insanely amazing! The flowers were divine - could not have been more perfect, I had no doubt they would be - your work is incredable!" "We cannot thank you enough for creating the most beautiful setting on our wedding day. All of our guests were in awe of the florals, especially the arch. You truly are a talented gem and we could not have asked for more." "I discovered Emma through a recommendation and we met via Face Time while I was living in Canada. Emma gave me so much of her time and she was able to piece together my incoherent description of the vision I had in my head. Emma made me feel confident that she knew what I wanted. After out first chat I knew Emma was going to nail our wedding and I wasn't disappointed. The moment I laid eyes on out floral, my heart jumped out of my chest. Everything was absolutely perfect! Thanks so much Emma"
"The floral design process was such a pleasure for us. Right from our first meeting Emma seemed to understand us as people and knew exactly what we were looking for to achieve for our wedding and how to do it. On the day the florals took our breath away. They were beyond perfect. My bouquet together with the girls were stunning and so intricately detailed, I honestly couldn't have dreamed of anything more beautiful"
You are one very talented, lovely lady. 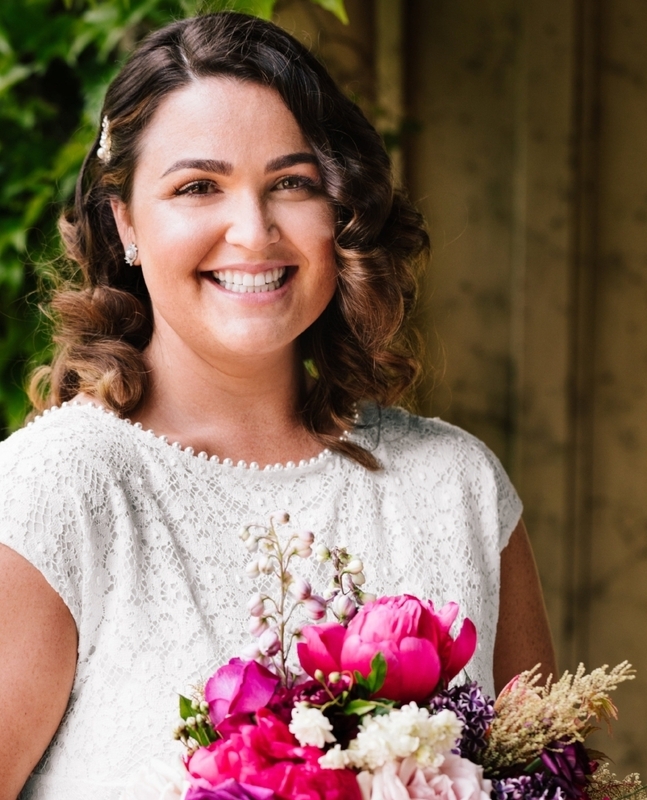 The flowers for Sophie and Paddy's wedding in the Southern Highlands were just sensational and can hardly find the words to adequately express our appreciation for your contribution to our wonderful event at Bendooley. I just wish you could have heard all the compliments-the floral was just superb, the colour combinations so exotic and the bouquets so unique. " "Emma was such a wonderful florist to work with! Emma's knowledge, creativity & style just shone through every meeting and conversation we had together. The vision we created together was even more dreamy and magical than I had ever could have dreamed of." "I knew from the first day Emma met us we were in safe hands. Emma was flawless in her design and creation! Emma is knowledgeable, creative, efficient, professional and a pleasure to work with, I hope our paths cross again." "Emma, I couldn't imagine anything else working so perfectly for our wedding in Berry, NSW. I relied on your expertise to see the dresses and work your magic and on the day the flowers in all aspects were amazing-I loved my guests saying how amazing the floral was. Whilst honeymooning in Cinque Terre we hiked and I found some Queen Anne's Lace growing wild along the track, it was so lovely to recognise a flower from my bouquet and have such a sweet reminder of that magical day"